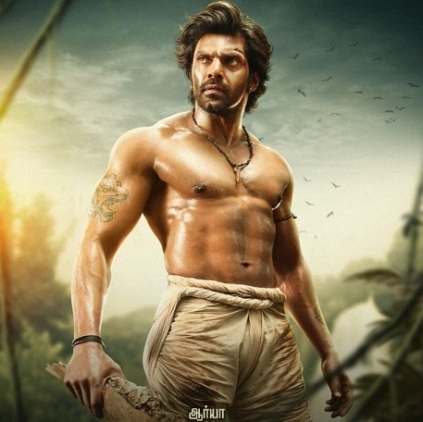 The trailer of Arya's Kadamban is finally out, and here we present you a short brief review about it. First of all, the visuals look grand and extravagant, with many aerial shots. From the trailer, it looks like the fight between the corporate business tycoons and the people living in forests (inhabitants). When these higher class people decide to destroy the forest and set up their building there, the forest people oppose it and fight against this. Arya looks to be the leader of the community who wants to save this nature (animals, trees, and the entire forest) for the next generation. The VFX looks very artificial and tacky. But let us hope that the graphics are done better in the film. Yuvan's background score is pulsating and adds great value. There are high chances of this film getting emotionally connected with the audience. On the whole, a very interesting trailer indeed.